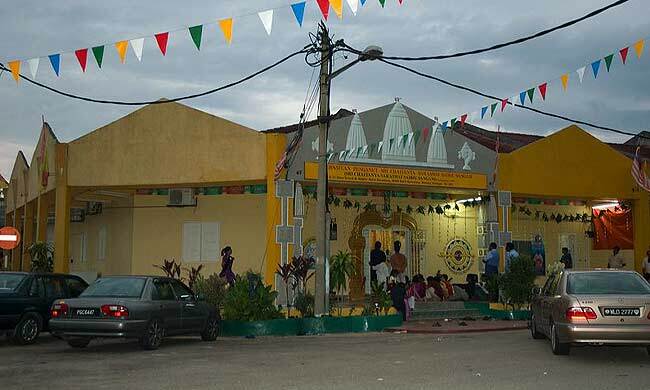 I am writing with some short reflections of the recent Pastimes in Malaysia with Srila Bhakti Sundar Govinda Dev-Goswami Maharaj and the beautiful devotees. I am being encouraged to do so by everyone! On 2 February the Malaysian devotees put on a huge, gigantic festival. I was there along with several devotees from the West who joined with Srila Gurudev including Sripad Goswami Maharaj, Sripad Siddhanti Maharaj, Jagamohini Didi, Jamuna Priya Didi, Devapriya Didi all of USA, also Sripad Tridandi Maharaj and Indupati Prabhu of UK, and Tarit Krishna Prabhu of Australia. There are no words to describe the sweet affection that I and all of us received in Malaysia. I can speak much of the Malaysians and the inconceivable and miraculous Pastimes of Srila Gurudev there. 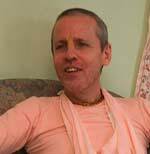 One such event was -- and it is almost unbelievable -- that we had a 12 hour day out visiting devotees and going from beautiful Centre to beautiful Centre of our holy Mission. Amazing! I can write forever about the glories of our beloved Srila Gurudev, but the main thing is that he was OK with everything and kept quite good health throughout. After the big day out, he got up the next day at 2:30 a.m. and gave four initiations even as the rest of us were all totally exhausted. 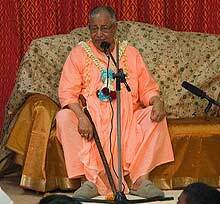 Our Gurudev Srila Govinda Maharaj is no ordinary personality and he is revealing this all the time. We were also blessed by talks by senior devotees. 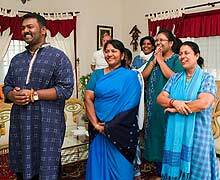 Sripad Goswami Maharaja gave a gasping class one night to about sixty devotees in the home of Balendranath Prabhu and Premamoyi Didi. It is so 'home comfort' here with the Malaysians. They took care of Srila Gurudev and all of us so sweetly. I know I am not good at writing, but I am happy to give my heart to this seva and hope to write more presently. With obeisances to all the devotees.